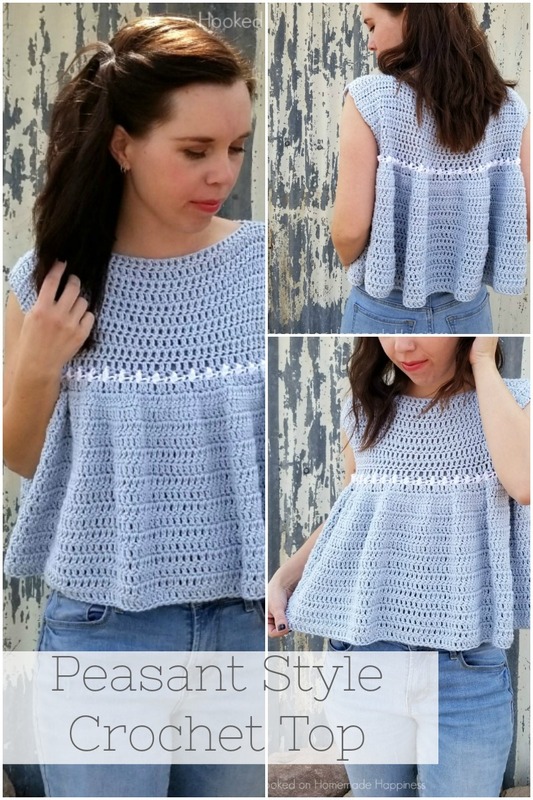 Add this girly and flirty Peasant Top Crochet Pattern to your Spring closet! 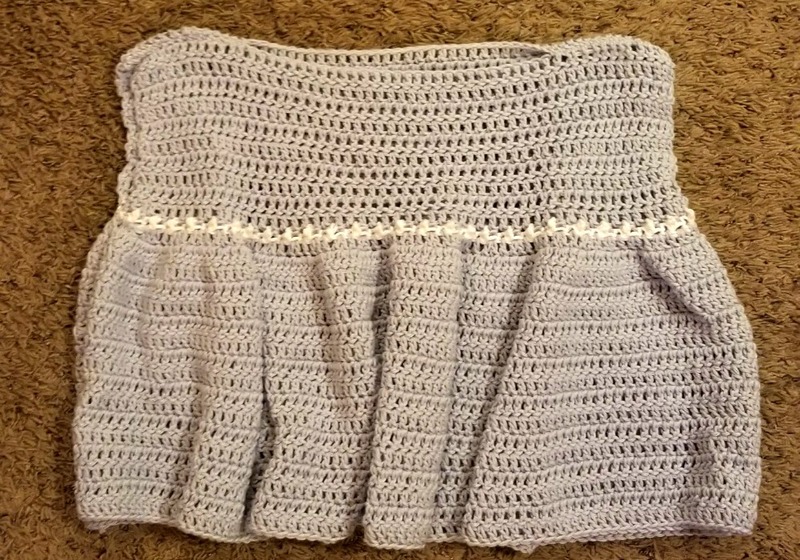 The ruffles add a feminine touch and they are so much easier to create than you might think. 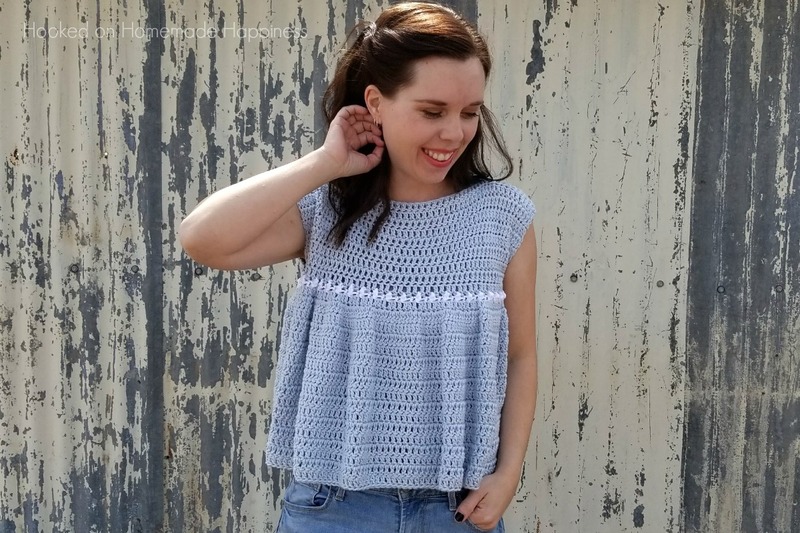 For this top I used I Love This Cotton! Yarn from Hobby Lobby. It’s one of my favorite cotton yarns for a great price. I love the pretty baby blue with the subtle white stripe. Perfect for Spring! 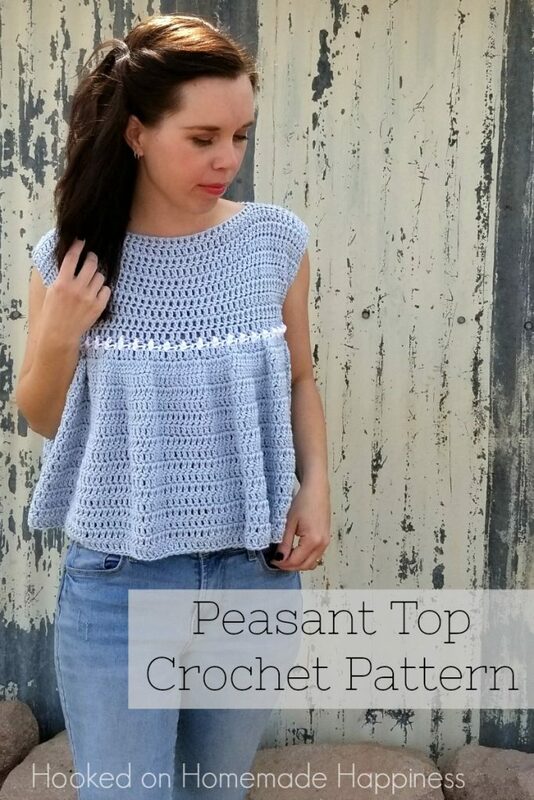 The construction of this top is super easy. 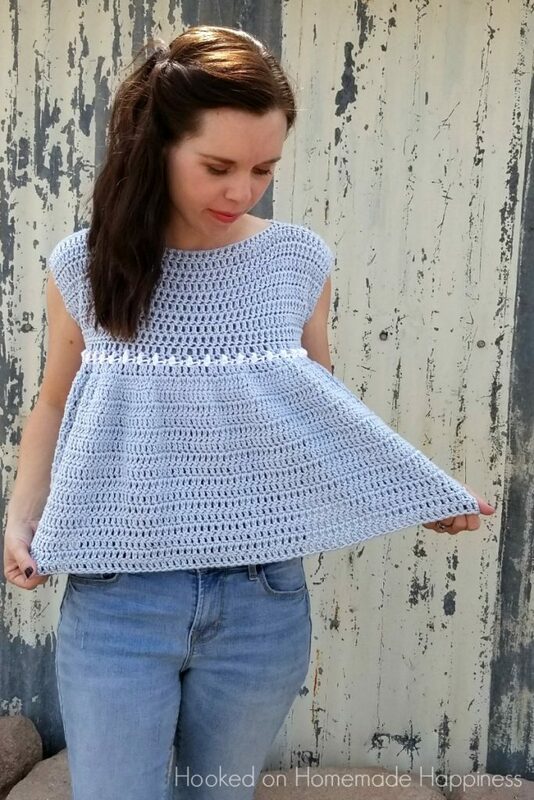 It’s 2 rectangles sewn together to make this fun blouse! 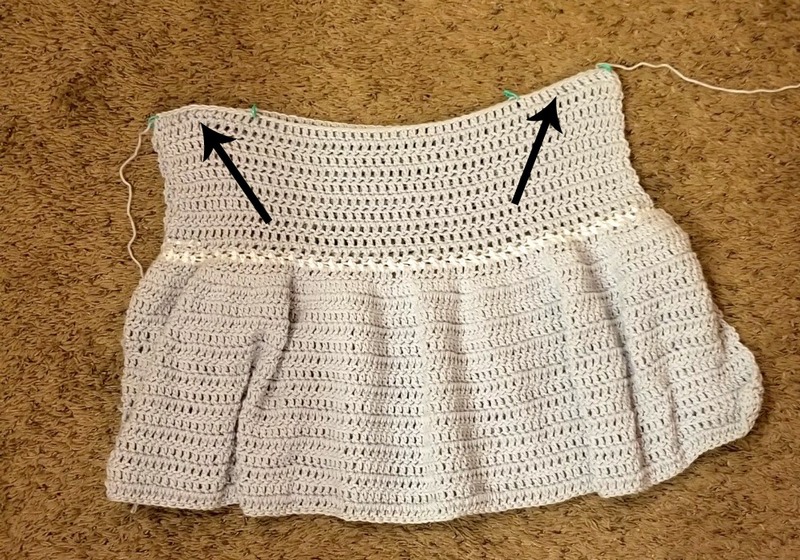 The top is fitted with the ruffles starting just above the bust line. 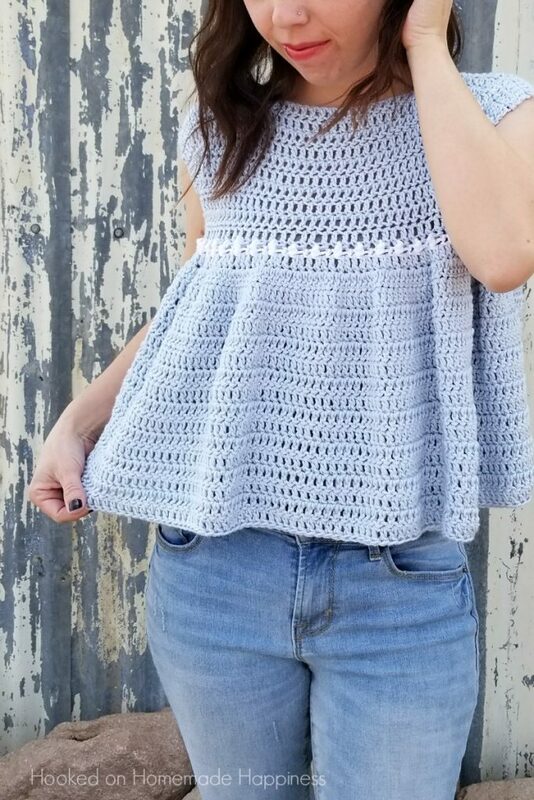 There’s a cute white trim right above the ruffles. This can be made in any length! 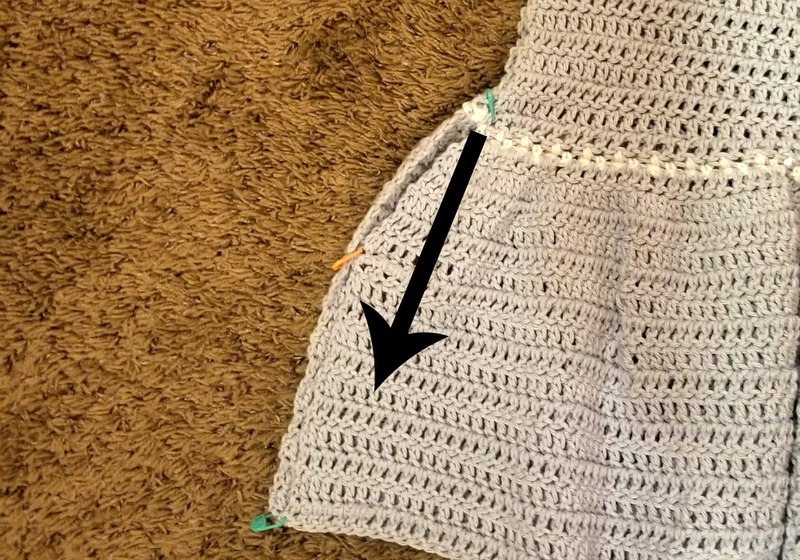 The rectangle are made from the top down, so just continue the pattern until you have the desired length. 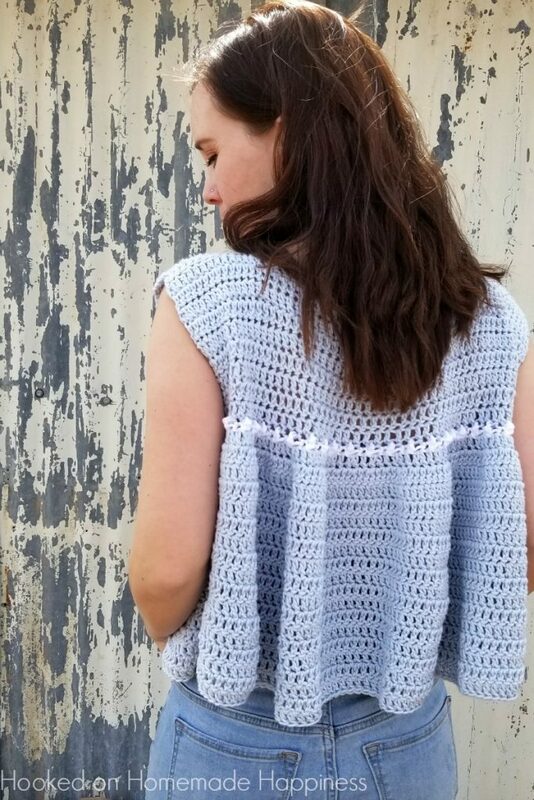 – Get the complete free pattern below or this pattern is also available as an inexpensive, clearly formatted, PDF instant download in my Etsy shop or Ravelry Shop! Weave in all your ends and turn the top right side out. 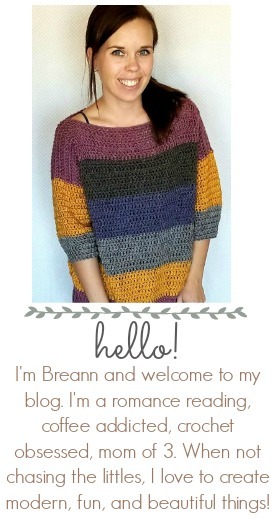 What’s the name of the yarn you’ve used, Breann? Thanks a lot for this simple and pretty pattern. I feel encouraged to try a top for the first time.